Look to be on course for a record breaking negative AO October this year,which is shown nicely by the 500mb anomaly for the first half. 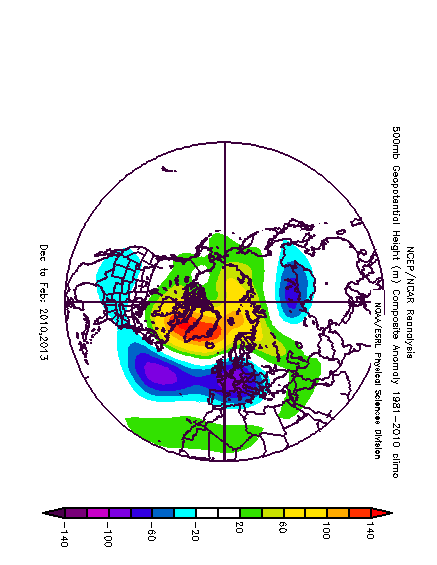 Strongly negative AO October's seem to lead on to "rather interesting" winter's,so maybe the OPI can get a second bite of the cherry? The two strongest -ve AO October's on record so far are 2009 and 2012 which were followed by winter's which would put the forum server on red alert. Nice to see this thread again! 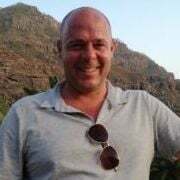 We are some guys from Sweden that’s been following the stratospheric discussions the past winters and we have been really inspired by this forum and the great stratospheric threads! Many thanks for providing the archive charts for the 10mb stratosphere. Hope it is OK to use one of them below. I cannot remember what 2009 looked like but certainly a whiff of 2010 in the 18Z GFS. Going for a split as early as 192 hours. When thinking back to several years past, it might be worth remembering that model upgrades since then have dramatically upgraded the horizontal layering in the strat (both ops and ens). back in 09/10, I think only the op ECM went up to the very top. if we are to see the strat playing a part in the onset of a colder pattern then it may be better signposted than back then. Not a lot to add at this juncture, everything's been covered, but whilst a part of me is certainly rather excited and interested, it is worth using the old elastic band analogy and that is as easy as it seemingly is to pull an elastic band apart, it can as easily 'snap back' and whilst I'm not thinking a 'false dawn' situation here, neither am I thinking this is the start of a long winter with little or no organised stratopsheric vortex. Clearly it is the next 8 weeks when the vortex fuels up and is raring to go, holding that back is a difficult task and we often look for breaking it down as winter progresses, not initially holding it back. It does, however, seem very promising that both stratopsheric and tropospheric charts highlight a continued disorganised vortex through the next 2 to 3 weeks or so. The latest EC32 continues to highlight good consistency in signaling retrogression and with a +ve pressure anom developing to the NW of the UK, something which, I believe, GloSea is signaling too. This will be an interesting one to follow as, in theory, we should be looking for a meridional pattern as a result into early November with a potential for N or NW'ly outbreaks, clearly nothing 'special' for this time of year, but would bring some colder weather into early November - then cue the "Ice in November to bear a duck, the rest of the winter will be slush and muck" comments though! As I mentioned in the old thread what is 'interestingly uncertain' this time round is how some of the background signals for the early winter continue to still change and provide uncertainty. The GOA sea temps have recently flipped, clearly the QBO is an on-going uncertainty after the odd events of earlier in the year and what looked like ENSO Neutral looking more like weak La Nina now. All these create a lot of variation in output for the winter period and potential connections and relationships with activity in the stratosphere. The latest plot of the tropospheric polar cap geopotential heights (PCHs) shows well above normal PCHs in the troposphere (Figure 10) consistent with a persistent negative AO. The strongest positive anomalies are initially in the lowest troposphere but then move into the lower stratosphere with positive PCHs extending even into the mid-stratosphere next week. The reason for the warming PCHs in the stratosphere is strong upward pulse of Wave Activity Flux (WAFz) or poleward heat transport predicted by the GFS (Figure 11). It is unusual to observe such a strong pulse of WAFz so early in the season so some skepticism is warranted until it is predicted by all the weather models. With regards to false dawns do we have any data for 2002. I seem to recall that we saw a lot of northern blocking that Autumn which came to nothing come winter.  I'm glad to hear that you liked the archive, we will try to add some more years when we get the time. In the meanwhile, just out of curiosity, I created some charts for 2009 and it seems like it was a strong early stratospheric event (close to reversal at 10 hPa 60N) in middle of November before we had the great cold air outbreaks in the beginning/middle of December with blocking and -NAO dominating for the rest of the season. This years forecast for the beginning of November is actually not that different, below is the 30 hPa forecast chart (GFS 06z) vs 2009 analysis. 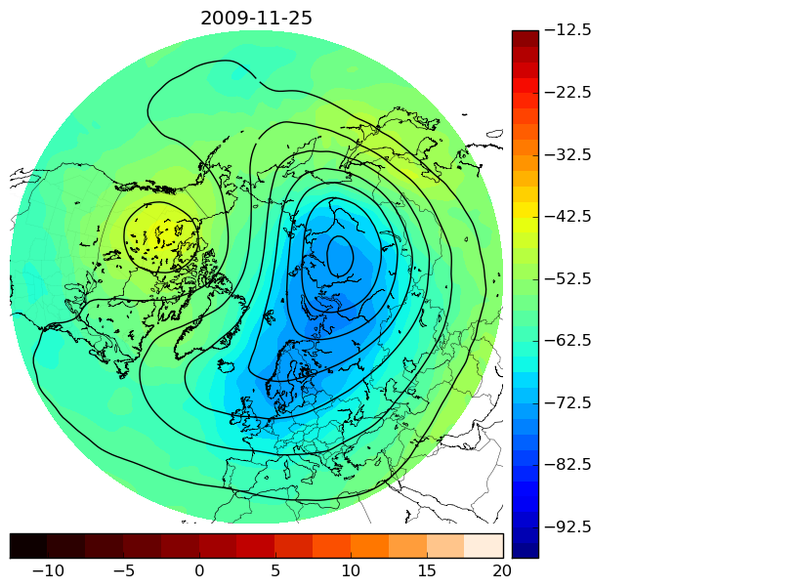 It could also be noted that the stratospheric vortex in 2009 recovered and the zonal winds at 10 hPa was actually stronger than ERA interim average for quite a while in December and January, while the tropospheric vortex remained very weak and disturbed. Regerading 2002 it seems like the prolonged tropospheric blocking and significantly negative NAO-index during October-December did not lead to any weakening of the stratospheric vortex.This year, I think, it is quite different since we can already see a strong respons to the tropospheric pattern. 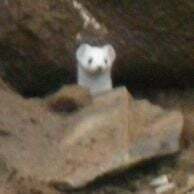 Finally, sorry if the links I provided yesterday wasn't workning (required login) that was not my intention. 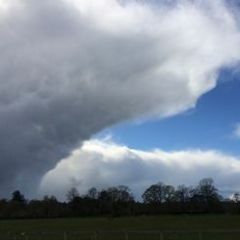 Here is the correct link, with no login required: www.weatheriscool.com. Welcome along to Netweather Mattias - great site and some cool charts - expect these to feature on here throughout Winter ! Then again, the winter wasn't devoid of cold either - 5th-19th December, 3rd-13th January and intermittent spells thereafter were cold. In fact, the January spell was the coldest for a long time in my location. It just wasn't particularly snowy. Historic aggregate Heat Flux visible on the 50hPa forecast today.. record breaking anomaly if verified. Variations of temperature are strongly affected by weather systems in the troposphere. Very large-scale weather systems or waves can move or propagate upward into the stratosphere. The upward propagation of these weather systems warms the polar region. We measure this upward flow of wave energy with the eddy heat flux. The eddy heat flux is the product of north-south (meridional) wind departures and temperature departures from their respective zonal-mean values. 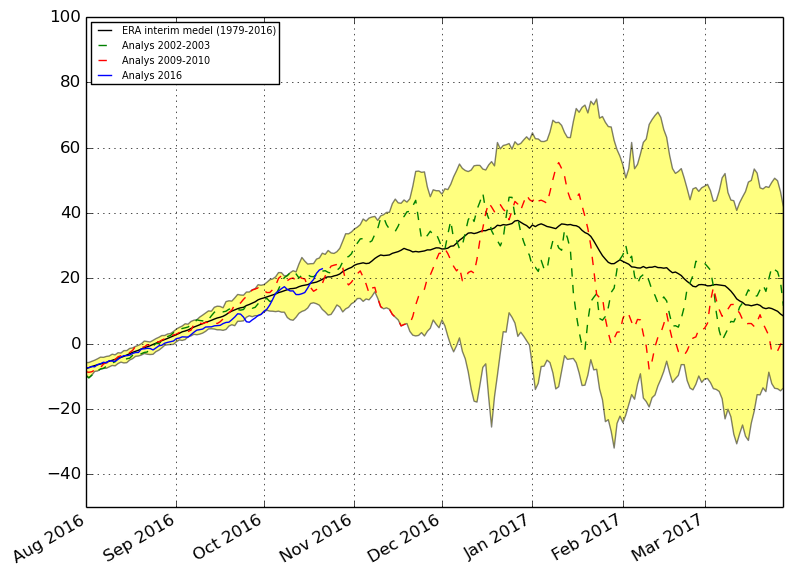 There is a strong anticorrelation between stratospheric temperature and the 45-day average of the eddy heat flux lagged prior to the temperature. A more positive value of eddy heat flux indicates that wave systems are moving into the stratosphere and are warming the polar region. Wave events distort the polar vortex and allow for greater mixing inside the vortex. These events can result in major and minor polar warmings. My favourite site for watch these wave events is via Andreas Dornbrack's site utilising the ECM output - You can lose yourself in the hypnotic nature of these images. Also refer back to the opener from Ed citing the classes of wave break and spot them on the loop. Agreed, winter 2002/03 wasn't bad overall, especially considering 4 out of the preceding 5 were pretty poor to say the least. In January 2003, I saw the two biggest snowfalls since at least February 1994 and although February 2003 didn't give any further snow it was often cold and anticyclonic until the final week. Allowing for lag before the troposphere fully responds, that could suggest one hell of a response as we head into mid-November. Great updates everyone. Needless to say - this is making probability forecasting for the coming winter more exciting, but also risky! Last year we had so many stable and well-established phenomena to guide our expectations. This year seems to be trying to get as far away from that as possible, and I look forward to seeing how it pans out, and how well we (the human race) manages to see what's coming before it lands - whatever it may be. shame that the Berlin graphical output doesn't kick in until Nov 1 because some of the predicted data re wave amplitude and temperature plus zonal flow reduction is impressive. Charts are there but the graphs bring it all together. reminded of many false dawns in previous winters but to have a weak beginning for the strat vortex and a weak looking trop chappie on the Asian side really is a great place to be starting from for coldies and those amongst us who crave for extremes. I don't think science rules anything out per se, but a quick glance at the literature does not really yield any papers that directly address your question. I assume you mean cooling at the surface by the way? As far as I know IPCC assumes the stratosphere in general to cool down as a result of climate change. What comes to my mind is that, yes, stratospheric events can cause colder than average temperatures at lower latitudes but at the same time these events are usually accompanied by strong WAA that causes warmer than average conditions in other places, usually at high latitudes. For example, the average temperature yesterday in Longyearbyen, Spitsbergen, was +7.4°C in stead of the normal -6.5°C (winter has not arrived there at all so far, very concerning). Also, stratospheric events occur irregularly and are temporary in nature. I think that global warming/Arctic Amplification (snow, ice, and vegetation albedo feedbacks) is causing the arctic to warm so rapidly and to such extend that it far outweighs any possible effects of temporary stratospheric events. The evolution of the wave 2 disturbance is also nicely shown in the GFS forecasts with a significant tropospheric wave 2 pattern in the next couple of days. 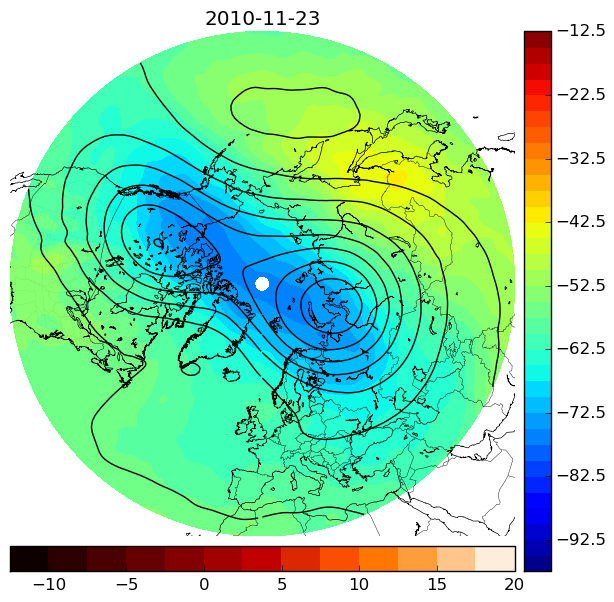 Then an increased wave 2 pattern can be seen at higher altitudes in the end of October with a westward phase tilt indicating upward propagation. Wow what a start to the season. This reversal should propagate down into the troposphere over the 3 wks of so? So although we have a cold first half of November looking likely could we be looking at extended cold spell induced by this reversal later through into November? The wave seems to be trop induced so no certainty that it would propagate back down. the longer that this wave activity interferes with the strat vortex organising itself the better for coldie propspects.